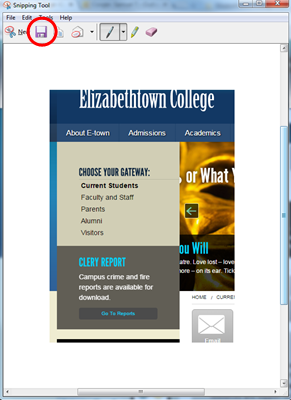 When you want to capture a screen shot from your computer, you can use the print screen button on the keyboard, or the Snipping Tool application. 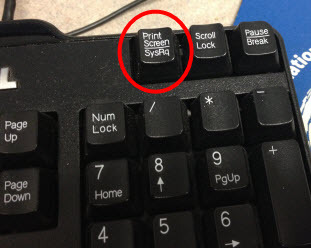 Step 1:Press the [PrtScn] key (usually above the number pad). Step 2:Open the program where you wish to paste image. 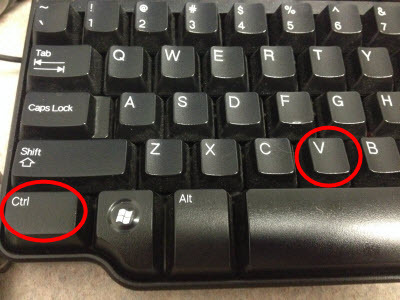 Step 3:Press [Ctrl] + [v] to paste the image. Step 1:Press [Alt] + [Print Screen]. Warning: Only one image at a time is contained in the clipboard. Pressing the Print Screen key again will cause the current image to be lost. In the Windows Start menu, search Snipping Tool. Select the Snipping Tool from the Start menu. A small tool window will appear on the screen, and a new capture will be ready for selection. Click and drag the square over the area of the screen that you wish to capture, then release. An editing window will appear, containing the capture. 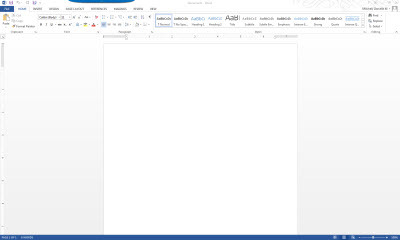 From here, it can be further edited and saved using the save icon at the top of the window.